Creative professionals need creative ways to solve professional challenges, stand out in a saturated marketplace and leverage their networks to create new opportunities for fun, profitable projects. This means approaching networking, marketing and presentations in a very different way than “business as usual” – and that’s why we’ve created this event. Improv is a fascinating art form and it’s a LOT more than just being funny – it’s a way to easily connect with others in any situation, from a networking event to a sales meeting, and build relationships. During this event you’ll take part in group improv exercises, laugh and learn with your peers and create meaningful connections. You’ll also learn how those fun exercises apply to your daily life and walk away with new strategies to grow your career and build your business. Everybody wants and needs more business relationships – and that’s exactly what you’ll get! Use the famous “Yes… AND…” rule of improv to navigate your way through awkward conversations. Cleary explain your creative vision in meetings so people want to work with you again and again. Leverage storytelling to build a powerful marketing message. Become an extraordinary listener and be the person everybody wants to connect with. Join us for a fun night of conversations and connections! Mark J. Carter believes mentoring is crucial to our professional lives; yet it’s an ambiguous process that can leave people confused. Because of this Mark has been on a 15 year journey to create an active case study that demystifies mentoring. The result is Idea Climbing™; a body of work that gives you clear strategies to get the advice, support and connections you need to solve problems. This is based on interviews with thousands of amazing people from CEOs and NY Times Bestselling authors to multiplatinum musicians, accomplished improvisers and more. Mark attributes much of his style for presentations and interviews to the improv world. He currently serves on the Board of Directors for Chicago Improv Productions and first helped with the Chicago Improv Festival in 2007. Greg is the Creative Sales Director and CFO of ComedySportz Chicago, the producer of ComedySportz. He has been working in the theatre and entertainment field for more than 20 years managing teams and helping clients build memorable events. In addition to his work as a facilitator and emcee, he is an Ensemble Member of Stage Left Theatre where his directing credits include: Keys of the Kingdom (World Premiere), A Day in the Death of Joe Egg (Jeff Recommended), Impenetrable (World Premiere), and After Ashley (Jeff Nominated). In everything he does, Greg builds ensembles; on stage and in business. Jonathan Pitts is the Executive Director of Chicago Improv Productions and Co-Founder of the Chicago Improv Festival, the world’s largest Improv Festival. Chicago Improv Productions presents and/or produces over 300 different improv acts and ensembles from Chicago, the nation, and 10 different countries during their season. Jonathan has also been a Guest Artist Faculty Member of The Second City Training Center for 16 years. After 18 years of running the Festival the recent three years have been the most successful – a testament that every business person needs to constantly improvise their projects and grow to become stronger. 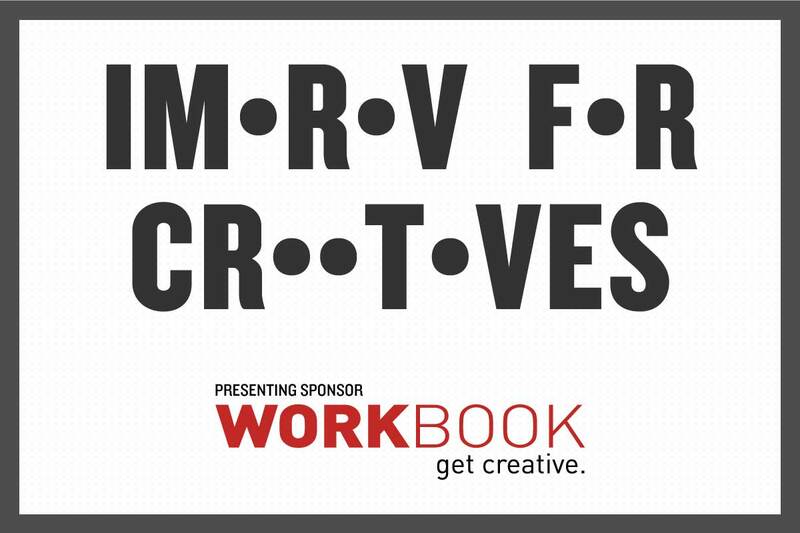 Workbook is the leading creative resource for photography and illustration portfolios, cutting edge marketing tools, industry news, contacts, and more.